Digital scale with remote digital display provides professional-grade accuracy in a small footprint. The platform can be placed virtually anywhere. The corded display unit can be set on a countertop or mounted on a wall with the included hardware. Advanced features such as EMR connectivity via USB, hold and tare will allow you quickly take and record weight readings from the 1" LCD screen. Other functions include Body Mass Index (BMI), auto off, auto zero, Lb/Kg conversion, zero out, and LB/KG Lock-Out. 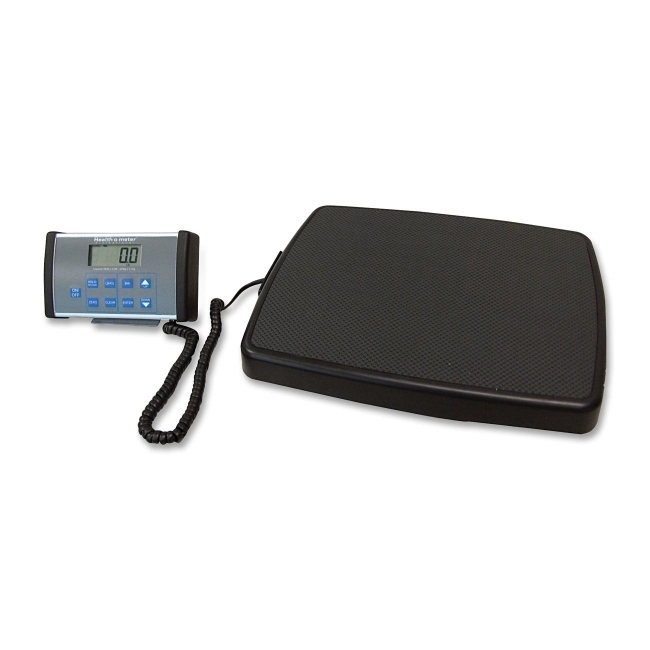 The Digital Physicians Scale also offers a weight capacity of 500 lb. (220 kg) and 17-3/4" wide x 14" long platform. Digital scale runs on six AA batteries (included) or a 120V Adapter (not included).